​Can you verify that your patients use and understand the patient education materials you give them? X-Plain® patient education solutions can. 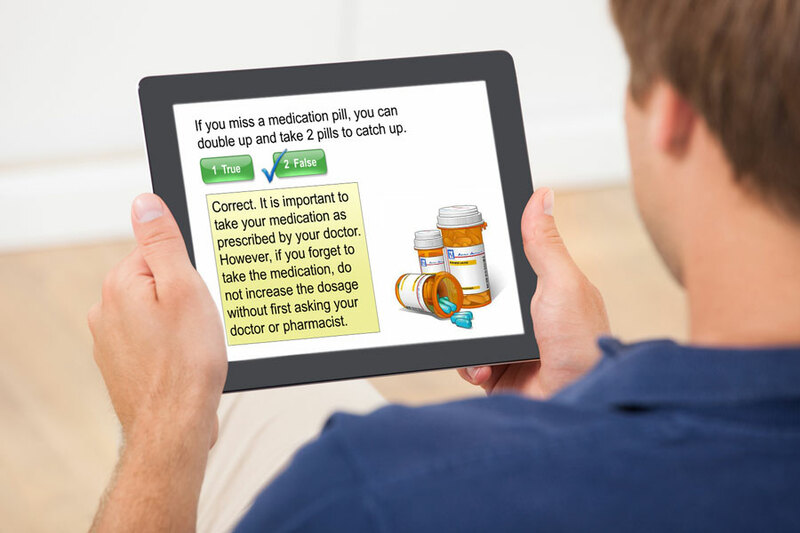 (1) Capture the patient's attention through interactive programs. (2) Ask the patient questions to ensure they understand vital health messages. (3) Document the educational session in existing health IT systems. X-Plain helps optimize staff time and assists with the teach-back process at the point of care and beyond. X-Plain offers thousands of evidence-based health education topics in several languages. 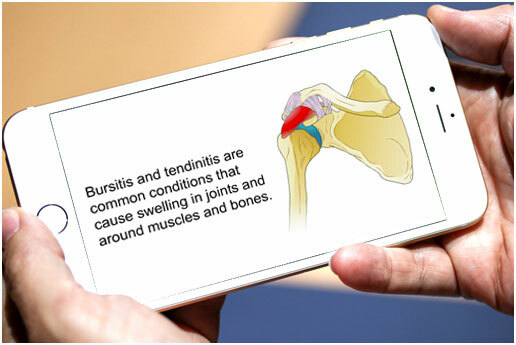 Each topic is available in different formats – such as videos, tutorials, and illustrated handouts – to suit the patient's individual preferences and learning style. ​other physicians don’t offer this service." Peter M. Klara, M.D., Ph.D. Improve outcomes by ensuring patient comprehension and compliance. Increase efficiency and save staff time. Engage the community with campaigns designed to promote public health and prevent disease. Manage the expectations of patients and their families to mitigate the risk of medical malpractice complaints and lawsuits. Meet regulatory requirements related to informed consent, discharge instructions, and meaningful use. Increase traffic on their websites and promote their brand names. Standardize health messages across the health system. Our clients are healthcare institutions: health systems, hospitals, ambulatory centers, physician groups, and payers & insurers. We also partner with vendors of healthcare IT products who integrate our content and technology into their existing solutions. Explore our website to find why more than 300 million patients and their families have trusted X-Plain solutions since 1995 or contact us for more information.